OTTAWA (Reuters) - Veterans Affairs Minister Jody Wilson-Raybould quit on Tuesday amid news reports that she was pressured to go easy on a major firm last year when she was justice minister, a development that deepened a political crisis for Prime Minister Justin Trudeau just months ahead of an election. Wilson-Raybould, who did not give any reasons for her resignation, said in a letter to Trudeau she was quitting "with a heavy heart," adding that "I am aware that many Canadians wish for me to speak on matters that have been in the media over the past week." 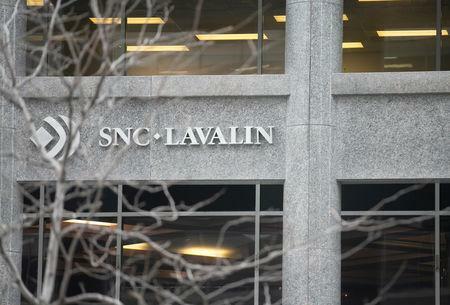 The Globe and Mail reported that people in Trudeau's office tried to pressure Wilson-Raybould last year to help construction company SNC-Lavalin Group Inc avoid a corruption trial when she was justice minister. Wilson-Raybould, who the Globe and Mail said had ignored the pressure, was demoted from the justice ministry last month. Trudeau said on Monday that he had full confidence in her and that her presence in cabinet spoke for itself. Trudeau's office said the prime minister would stick to previously announced plans to speak to reporters later on Tuesday in Winnipeg. The resignation is the second blow for Trudeau in two days over the affair. 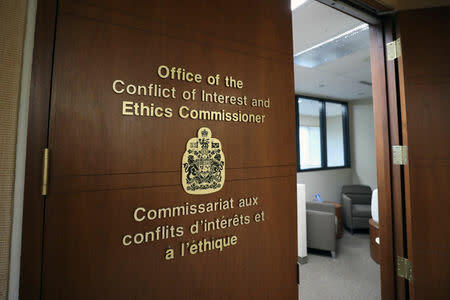 Mario Dion, Canada's independent ethics commissioner, said on Monday he was probing allegations of possible wrongdoing by senior officials. In a hint that the situation could grow more complicated for Trudeau, Wilson-Raybould has retained former Supreme Court Justice Thomas Cromwell to advise her on how much she can say about the SNC-Lavalin case. Cromwell declined an interview request. "This is bigger trouble for the government than almost anything else that has come along so far," said Richard Johnston, a professor at the University of British Columbia and an expert in public opinion and election. Opinion polls show Trudeau's Liberals have a slender lead over the official opposition Conservatives ahead of an election set for this October. "Mr. Trudeau's ethical lapses and his disastrous handling of this latest scandal have thrown his government into chaos," Conservative leader Andrew Scheer said in a statement. In 2017, Trudeau apologized after the office of the ethics commissioner said he had broken conflict-of-interest laws by accepting a vacation on a Bahamas island owned by the Aga Khan. 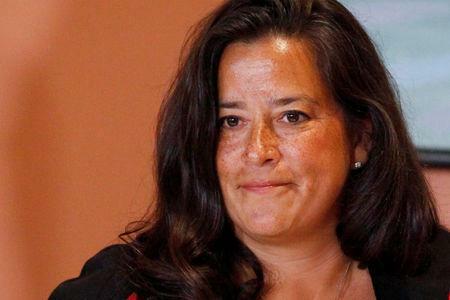 Wilson-Raybould, 47, appointed justice minister when Trudeau's Liberals came to power in November 2015, is one of the most prominent aboriginal politicians in federal politics.